Ah dim sum. I don't get to have it often because the bf doesn't like small dishes...pshhh! Well that's what friends are for! 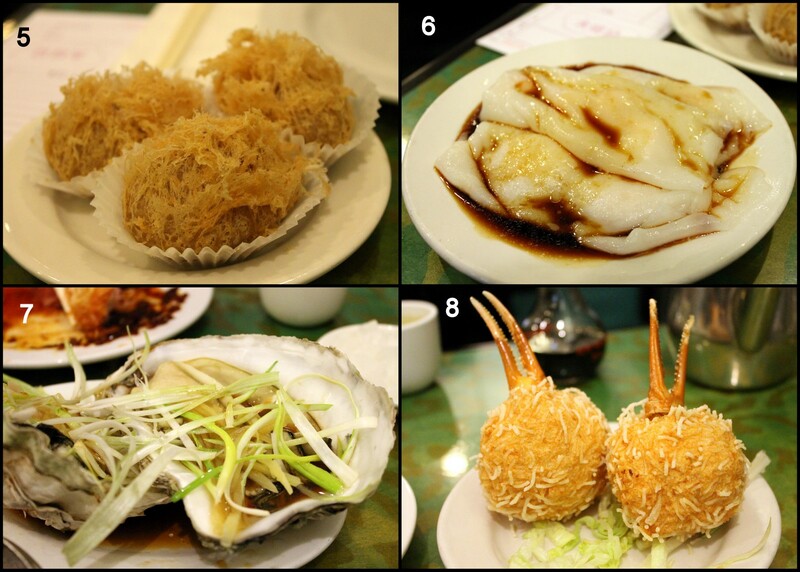 One of my friends took me to Mark's Duck House - her favorite spot for Sunday dim sum. The restaurant has been around for over 20 years serving Hong Kong-style cuisine. As their name suggests, they are known for their Peking Duck. However, we didn't get a chance to try it. Located in a shopping center, there is plenty of free parking, but it can get crowded. 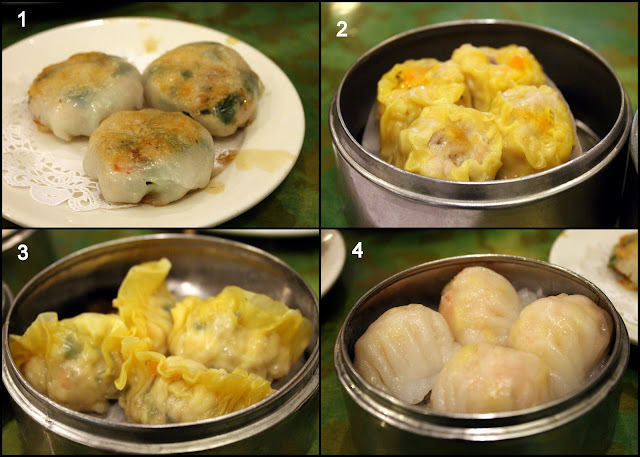 This place is smaller than other restaurants that offer dim sum, so it was PACKED! We took a number when we got through the crowd waiting by the door. They offered many of the same dishes I'm used to seeing as well as some different items. Sorry guys, but I don't have prices for any of these items because they were in Chinese. All dishes are between $2.50 - $7.50 though. 1. Pan-Fried Chives Dumpling - Out of all the dumplings, this was my favorite. 5. Fried Taro Dumpling - One of my favorite dishes when I have dim sum. 6. Shrimp Noodle Crepe - Best noodle crepe I've tried. 7. Lemongrass and Ginger Oyster - Oyster by itself was the size of my palm. 8. Stuffed Crab Claw - I broke my chopstick trying to cut this. It was massive! Service was very fast with the carts, they constantly filled our water glasses, replaced my broken chopstick and reminded me that I forgot my leftovers. I thought they were great! Food was on point. Now I just need more dim sum buddies! I wanted to find a quick, after-work recipe for dinner, and this stir fry recipe is just that! You can interchange the meat and veggie to whatever you want. BenjiManTV's video explains it very well. I used beef and broccoli, and changed some of the potions. -Prep all ingredients before cooking. Stir frying is fast, high heat. 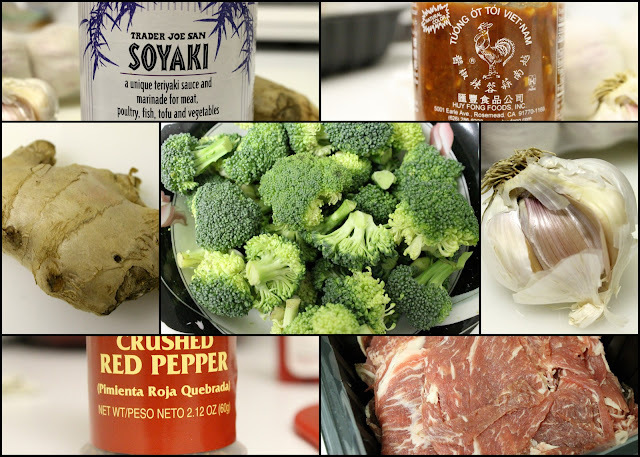 -Keeping the beef, onion and broccoli around the same size for even cooking. -Don't use stew meat, it gets chewy. I've learned the hard way. 1. Heat oil on low heat, throw in ginger, garlic and red pepper flakes. Stir for about 30 secs and remove the ingredients and 1/2 the oil. Put it to the side. 2. Turn heat on high, add beef, salt and pepper. Cook until about 1/2 way cooked. Remove beef from pan. Put to the side. 3. Add the saved oil (not the garlic/ginger chunks) to the pan, and add the broccoli. Stir, then add the water and cover for 15 secs. This will steam to help soften the veggie. 4. Add the onions (I didn't have any this time) and garlic/ginger/chili flakes. Stir for 15 secs, then add beef, chili paste and teriyaki sauce. Stir until meat is fully cooked. I need to do the whole 'brunch thing' more often. Heading into the city without traffic on a late Sunday morning for breakfast food is my kinda deal. I met my friend and former college roomie at the Tabard Inn, which has one of the most popular brunches in DC. They offer valet out front for $7 until 3pm. This 40-room hotel has a multi-level restaurant that reminds me of a row house. Cozy, small and Victorian. Thankfully we weren't in the main room (it can get loud and cramped), but were seated next to a window on a higher floor. They have a nice garden patio for when the weather is nice. It's advised to make reservations 2-3 weeks in advanced. So plan in advance and give them a call! The menu is inspired by fresh, seasonal, local ingredients and consists of mostly savory items. All dishes are a la carte, and due to high volumes during brunch, there are no substitutions folks! While waiting for our dishes to arrive, we received a basket of sweet and salty selections like muffins and cornbread. My friend went the savory route and ordered the Scrambled Eggs with cream cheese and chives, house-made Toulouse sausage, home fries ($14). She loved her dish! I tried the eggs and potatoes, which were both amazing. We've been inspired to add cream cheese to our eggs in the future. She also ordered a side of Cheese Grits, which wasn't listed on the menu as an a la carte item, but our server said it was possible. Isn't this so pretty? It was very simply plated, but tastefully done. I went the sweet route, and ordered the Lemon Buttermilk Waffles with raspberry-plum compote, whipped cream ($12). You can taste a hint of lemon in the batter, which goes along well with the fruit compote. Fluffy texture, and I didn't need to drown them in maple syrup. It was very sweet on its own, which would've been perfect with a side of bacon. Very nice, and cozy place. All of the items on the menu looks delicious and we've heard about the donuts they make, but we didn't get a chance to try them. Our server was very knowledgeable when we asked for recommendations. I definitely enjoyed trying my friend's food and will probably go the savory route the next time. Hi Everyone! One of my many New Year's Resolutions (I have like 15...) is to cook twice a week. It's a great way to save money, eat healthier and keep the bf happy. I decided to try something new and make California Rolls! I am obsessed with sushi and figured I should learn to make my own. Using raw fish at home still makes me nervous, so I'm going to stick to imitation crab for a while. Making the rolls is very easy. The prep work is what takes the most time. I used Just One Cookbook's tutorial as my guide and switched it up a little. It's an amazingly helpful post! Don't forget Tobiko (flying fish roe), Pickled Sushi Ginger and Wasabi for garnish. I never knew you had to season the rice, but it makes it taste awesome! 1. Mix together rice vinegar, sugar and salt. 2. Pour the rice vinegar mixture onto freshly cooked rice and mix well. Let it cool. 3. Mix mayonnaise with the imitation crab. I could have used more to get a creamier consistency, but I wanted to keep it healthier. I think I'll omit it completely next time because it wasn't that noticeable. 4. Wrap bamboo mat with plastic wrap. 5. Place nori sheet shiny side down and spread a thin layer of sushi rice. 6. Add rows of cucumber, avocados and crab on the bottom of the nori. 7. Lightly sprinkle toasted sesame seeds all over the rice and ingredients. 7. Roll slowly but firmly starting from the end with the ingredients. Stop every third of the way to compress the roll to ensure it's packed tightly. 8. Run your knife under water and slice into thin pieces. California rolls are easy to make and can feed a lot of people for little money. With this being my first attempt, I learned a lot! I cut the pieces too big, bought too much imitation crab, didn't add enough sugar, etc. So don't worry if your rolls don't look like something from a restaurant. Still tastes delicious! I was able to find everything at my local Korean store (H Mart). Enjoy!